Famously established in 1875 (as still evidenced by the cigar’s label), Romeo y Julieta is indisputably among the best-selling and most recognizable cigars in the world. The cigars gained traction in the early 1900s, when brand-owner Jose Rodriguez began actively traveling the U.S. and Europe, promoting the brand to wealthy connoisseurs (with Winston Churchill being the most famous). This mindset has followed the brand, both in its original Cuban form, and newer Dominican incarnation—showcasing profiles on the mild, nuanced, and sophisticated side of the flavor spectrum... until now! Behold, the ROMEO by Romeo y Julieta—a modern take on this classic offering, fit for the cigar enthusiast seeking bigger, bolder, and in-your-face flavor! 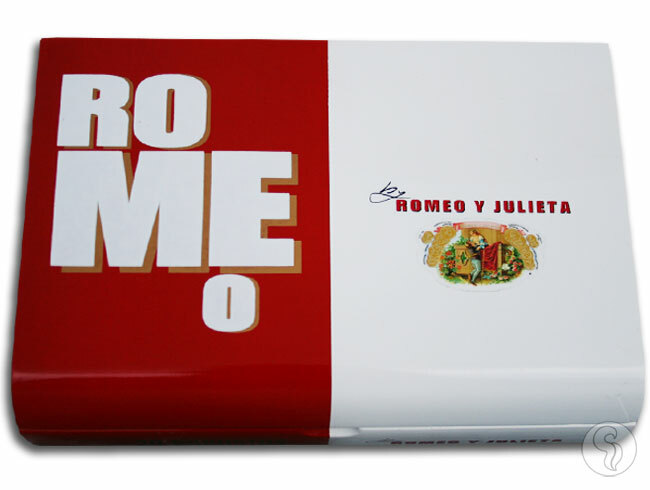 For ROMEO, parent-company Altadis USA has stripped the cigar of its old-fashioned frills and ornate trimmings, banding the cigars in big, bright, and instantly recognizable boxes and bands and simplifying the name to the less tongue-twisting “ROMEO.” But the packaging ain’t the only portion to receive an update; for ROMEO, the cigars replace the original blend’s Indonesian wrapper with a select, Dark Ecuadorian Habano leaf—imparting a more robust kick to the cigar’s all-Dominican interior. With a Dominican Piloto binder and fillers of Dominican Olor and Piloto tobaccos, the blend achieves the complexity deserving of its name. This is where this special blend finds harmony, receiving the nod of approval from critics, veteran smokers, and newcomers alike. ROMEO brings a full flavor profile and medium-plus body, offering notes of zesty peppers, sweet cedar, nuts, and background notes of sweet, stone fruit. Try ROMEO and see what the critics are raving about—including a jaw-dropping 94 rating on Cigar Aficionado and their #3 Cigar of the Year award for 2012!